This simple summer dessert recipe is the epitome of summer. 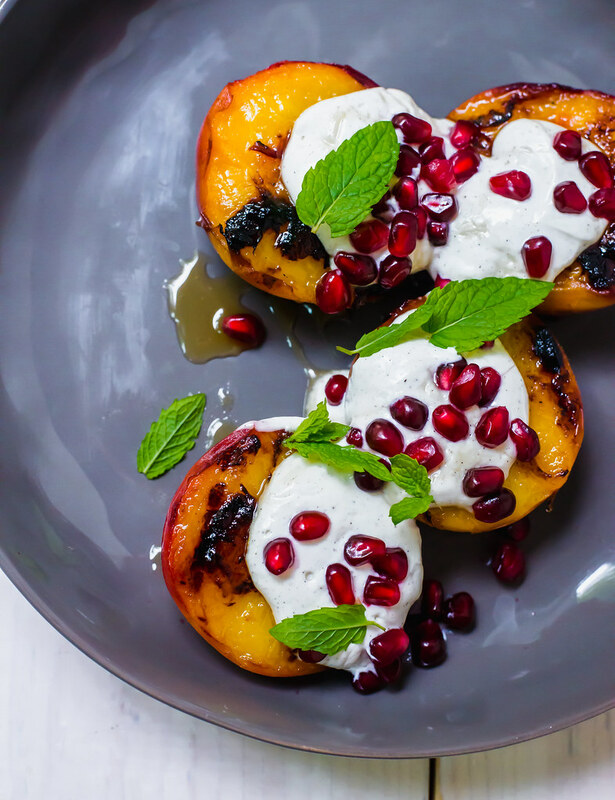 Charred peaches topped with with tangy vanilla speckled labneh and topped with honey and pomegranate seeds. Oh hey summer, how did you get here so quickly? Before I knew it, sweet peaches and nectarines, homegrown berries and perfectly tender asparagus have been overflowing our kitchen counter. And I am not mad about it. 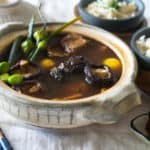 What else is happening this summer…well, we are in the final countdown days of the release of my COOKBOOK! 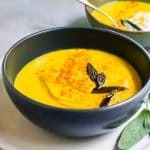 You still have time to pre-order and if you do, please send me a message letting me know and I will send you bonus recipes! 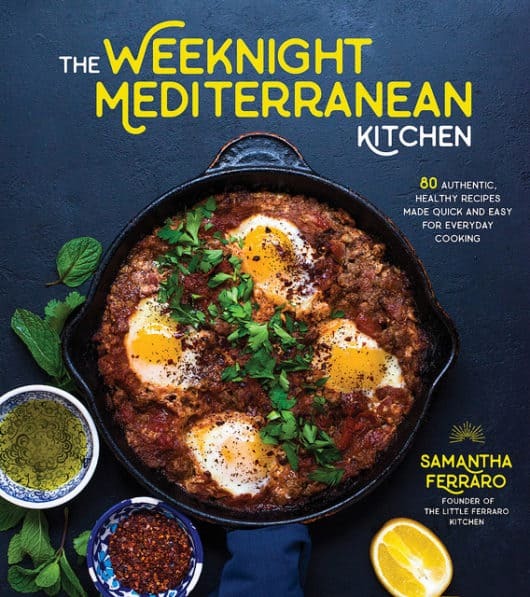 You can pre-order The Weeknight Mediterranean Kitchen until July 24th! Oh hello, Easy Summer Desserts! 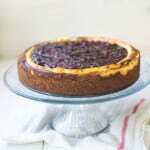 This summer is flying by and I have been craving something simple and sweet. The peaches this season are extraordinary and I am the type of person that likes a little give to my fruit, dripping, juicy fruit where you have to stand over the sink to eat it. 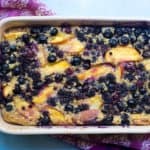 Those ripe peaches would be perfect for my peach berry clafoutis, however, if you are grilling them, the firmer the better! 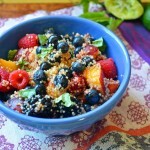 Keep it even simpler by forfeiting the charred peaches and adding any fresh fruit or berries of your choice. The sweetness pairs lovely with tart Mediterranean labneh. 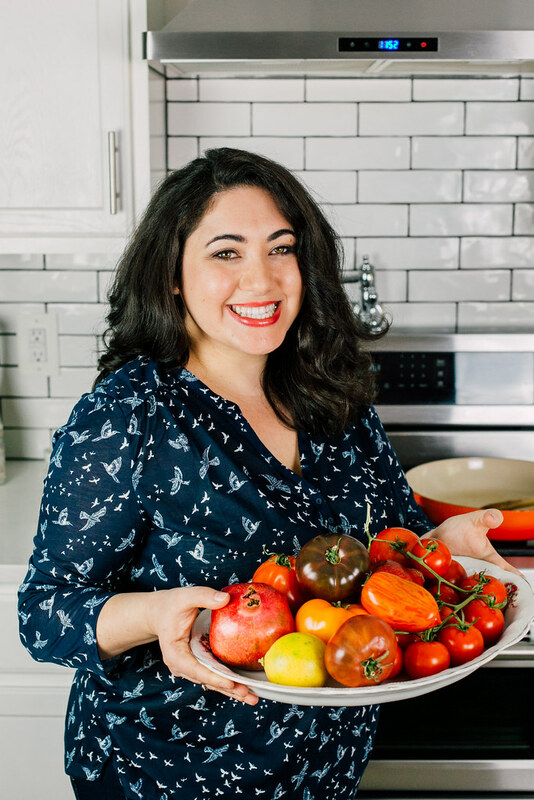 And if you can’t find labneh (you should! 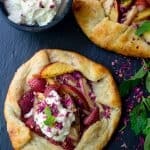 ), substitute thick full fat Greek yogurt, which will still offer the same creamy tartness that goes so well with fresh fruit. 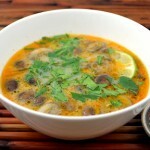 I took advice from my dear friend Laura over at Family Spice. She is the grilling queen! Get your grill pan or grill very very hot. 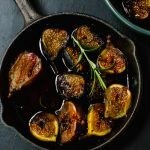 A fish spatula that is flexible works really well to release the charred peaches from the hot pan with minimal sticking. 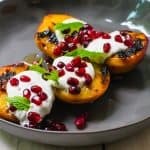 Simple summer dessert recipe, charred peaches with creamy and tangy labneh and topped with sweet honey and tart pomegranate seeds. Begin by getting your grill pan or grill smoking hot and brush some grapeseed oil on the cut peach halves. Place halved peaches on hot grill and allow them to cook for 3-4 minutes, until the flesh has some nice char. While fruit it cooking, whisk together the labneh, vanilla and honey in a bowl. 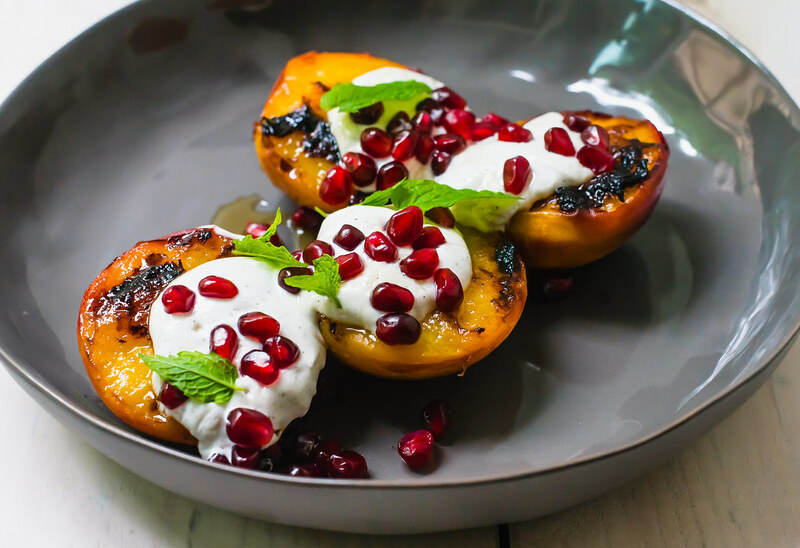 Once fruit is done, place in a bowl and top with a dollop of labneh, drizzle of honey, pomegranate seeds and fresh mint.